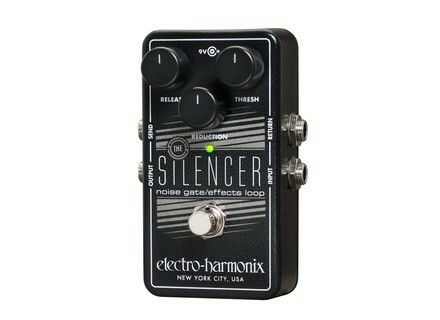 The Silencer, Noise Gate for Guitar from Electro-Harmonix. 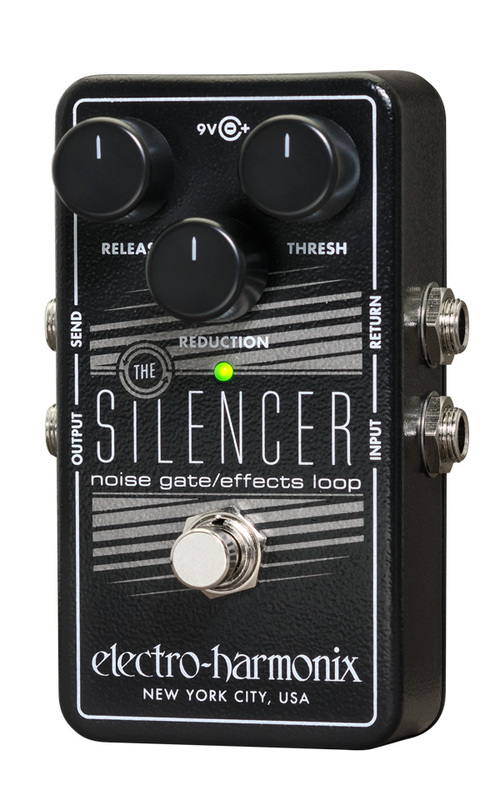 The EHX The Silencer 2015 edition is designed for guitar players who use pedalboards and need to tame the hum and noise of individual high gain effects or a full effect loop. The noise gate pedal features three controls: Threshold to set the necessary level when the gate opens, Reduction to regulate the gated signal reduction between -70 and +4 dB and Release to control how long the gate will remain open after the signal has gone back below the threshold ; this time is variable between 8 ms and 4 seconds. The Silencer features 1/4” input, output, send and return jacks. The footswitch will enable a buffered bypass. The pedal ships with a 9V battery but it can be powered by an optional adapter. The new Silencer will be available in August for the US price of $76.80. [NAMM] Electro-Harmonix 22500 Dual Stereo Looper Electro-Harmonix is at Summer NAMM 2015 to introduce a new dual stereo looper pedal for instruments and vocals, the 22500. [NAMM] Park Little Head 18 guitar amp Park Amplifications introduces at Summer NAMM 2015 a new tube guitar amp head with a vintage British sound, the Little Head 18. [NAMM] Epiphone Tony Iommi Signature SG Custom Black Sabbath guitarist Tony Iommi signs a new Epiphone SG Custom guitar, which is officially introduced this weekend at Summer NAMM.